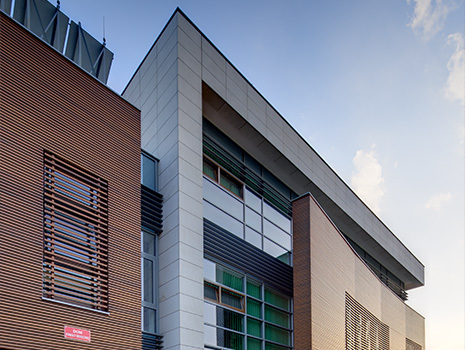 Poland's first Alzheimer's Centre is in Warsaw. The centre is multifunctional: It is aimed at persons suffering from Alzheimer's. It supports relatives in dealing with the sick and trains support staff and carers. The objective is to give patients and their relatives security. 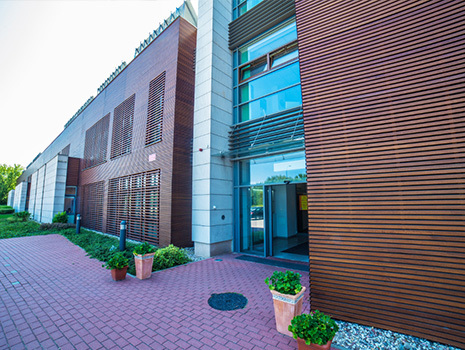 The therapy centre represents a kind of "protective envelope" for the persons affected. The site is generously sized and includes four buildings, which are connected to each other by a park. The whole site of the Alzheimer's centre is designed for accessibility, so that even people with physical limitations can move around freely. The accessible bathrooms are fitted out with products from the HEWI Range 801. The uncompromising, user-friendly design of the bathrooms also enables them to be used by a Rollator or wheelchair user and thus promotes the independence of the patients.